MAF is the executing agency for the Project. 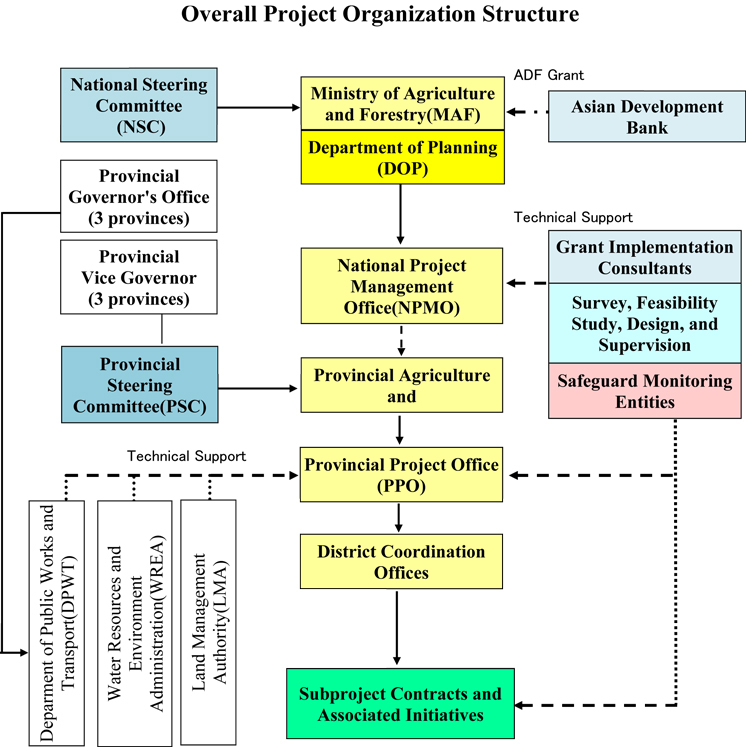 MAF delegated the responsibility for overall project coordination and management to its Department of Planning (DOP). DOP has established NPMO responsible for coordination and management of the Project. The implementing agencies at the provincial level are Provincial Agriculture and Forestry Offices (PAFOs). 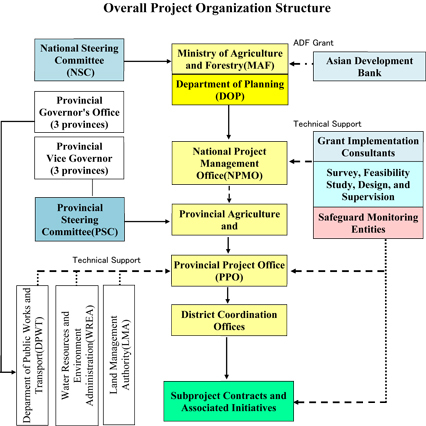 Provincial Project Offices (PPOs) have been established in each PAFO to be responsible for financial management at provincial level, and coordination and management of implementation of subprojects. To assist implementation of the Project at the district level, District Coordination Offices (DCOs) have been established within DAFOs to coordinate and supervise subproject activities at district level.